Welcome to the Hong Kong Polytechnic University's Virtual Campus Evolution (VCE3i), an immersive, interactive and innovative attraction of interdisciplinary and collaborative activities. Come learn about people and places behind the fight for LGBT equality at this museum. Visit the Telephone Museum and learn the historical evolution of the telephone from its birth up to present day. Come and see the first ever phone that was created by Alexander Graham Bell, and 50 more telephone models of the past century. Play the memory and trivia phone games and try your luck with the Gacha Machine. 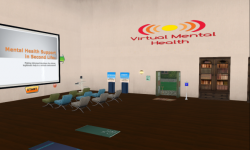 Virtual Mental Health in Second Life offers free resources on mental health, relationships and wellness. 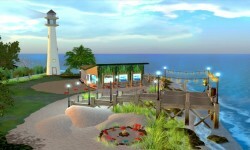 Beginning in 2005, SL resident (RL licensed psychotherapist and educator) Avalon Birke and her team have worked to create an inworld space where individuals and groups can find genuine support. 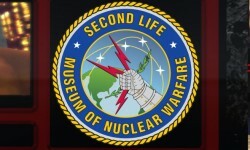 Welcome to the Second Life Museum of Nuclear Warfare. The goal is to educate the public about the history of the use of nuclear weapons in the larger context of the Cold War. 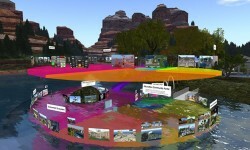 The Community Virtual Library is the hub for librarians and education in virtual worlds. The Science Circle and Abyss Observatory collaborate for providing this teleport gateway to educational places in Second Life. Start here to explore everything from natural science to art, history, literature and other learning places. Home to the College of Medicine at the University of South Florida. Includes information on the various schools and departments, including nursing, public health, continuing education, and the Shimberg Library. 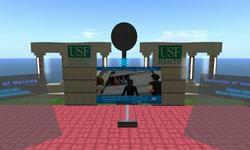 Welcome to the Second Life home of the SUNY Learning Network and the State University of New York. Instructors and students can interact in many learning spots, including a Graduate Research area and science area. 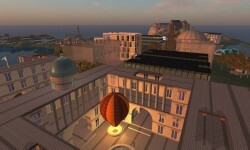 Vue is a virtual educational and research institute bringing together all those interested in the use of virtual worlds for teaching, research and outreach related to the University of Edinburgh, Scotland, UK. Learn more at vue.ed.ac.uk.